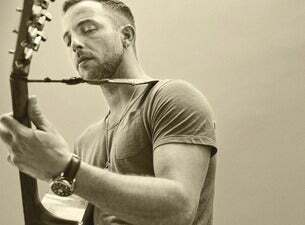 James Morrison is a singer-songwriter from Rugby in England. He is renowned for his top-selling singles including Broken Strings, You Give Me Something, and Wonderful World. He was born in 1984, and released his first single in 2006, the hit song, You Give Me Something. His first album, Undiscovered, also went to the top of the album chart in UK, and just a year later, Morrison won a BRIT Award in the Best British Male category. His second album was released in 2008, called Songs for You, Trusts for Me. It reached the top five in the UK album chart and topped the Irish album chart, featuring the hit singles, Broken Strings and You Make It Real. These two albums have sold 4.5 million copies and turned Morrison into a global star. As well as performing as a solo artist, he has recorded with Nelly Furtado and Jason Mraz, among others. He even penned a song for Marco Carta, the Italian singer, which was called Quello che dai, reaching No. 1 in the official singles chart. His third studio album, The Awakening, features the first single, I Won't Let You go. It features a collaboration with Jessie J and others. For Christmas 2013, he released a cover of the John Lennon and Yoko Ono classic, Merry Christmas War is Over. His early influences included soul, country and folk, and he credits his uncle with teaching him guitar by intriguing him with a blues riff. Influential artists included Al Green, Otis Redding, Stevie Wonder and Van Morrison. His career began while busking in Cornwall as a teenager and he has always said that his distinctive vocals were the result of a near-fatal bout of whooping cough as a baby, which permanently affected his vocal cords. Morrison has played many gigs both in the UK and overseas, including V Festival, Live from Abbey Road, the 2007 Concert for Diana and Hyde Park. He has gigged along the American coast, played to sold out arenas, and held intimate concerts across Europe, The States, Japan and Australia. He has been awarded various BRIT Awards, including Best Male in 2007 and an AOL Breaker Artist. He also holds the award for being the biggest-selling male solo artist in Britain for 2007, the year that he released Undiscovered.